Our skilled team of veterinary doctors and support staff are here to proved the only the highest quality of care for your pet. Dr. Reynolds moved to the Stayton area with his wife Tina and three sons, Eric, Ben, and Jackson, in 2005. He grew up in Ashland, OR and Tina grew up in Stayton. What Dr. Reynolds enjoys most about his job is getting to work with the people and patients, especially those he has an established long-term relationships with. Dr. Reynolds received his Bachelors in Science from Oregon State in 1995 and DVM from Oregon State in 1999. They have a labrador retriever named Connor, who has saved many lives as a blood donor, as well as three cats and a small flock of sheep. When not at work he enjoys spending time with friends and family, coaching and playing soccer, and working on their small farm. 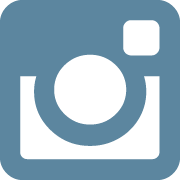 Dr. Brubaker grew up on a small farm near Amity, OR and joined Stayton Veterinary Hospital in 2008. His favorite part about his job is getting to help people and their pets. He attended George Fox University for his Bachelors in Biology and then went on to attend Oregon State University for his DVM. What drew Dr. Brubaker to the veterinary field is his fascination with animals in all their great variety. Dr. Brubaker has a Basset Hound named Murray, a Boxer mix named Bailey and cats Jasmine, Curly, Monique, Albert, and Rose. He also has several rabbits, cows, calves, and chickens. When not at work he enjoys bee keeping, wood working, salmon fishing, tending fruit trees, keeping up his small farm, and spending time with his family. 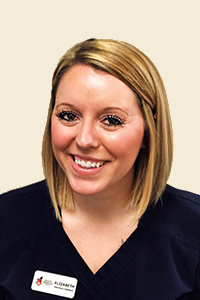 Dr. Brittany Hale began working for Stayton Veterinary Hospital in July of 2015 after graduating from Oregon State University College of Veterinary Medicine. 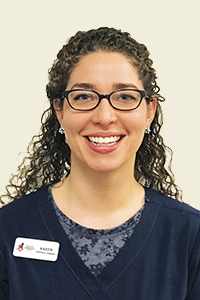 She took a brief hiatus to work on a project, which allowed her to create and lend her expertise to a program that furthers the education and continued growth of veterinary professionals. We are very happy to have her back with us as we missed her excellent veterinary care, dedication to her craft, tremendous wit, and the many things that she brings to our hospital and to the patients that she cares for. 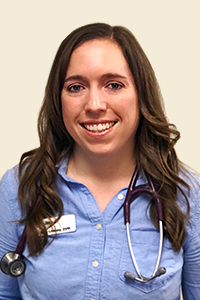 Another area of focus she brings to Stayton Veterinary Hospital is an interest and further study in the area of Ultrasound and Echocardiology. Brittany grew up in Tillamook, Oregon with her parents and four siblings. Having grown up on a farm, she has always had a love for animals. One of the reasons she enjoys working at Stayton Veterinary Hospital is because of the diversity of patients that she gets to work with. Outside of work, Brittany enjoys spending time with her family, human and animal alike. She especially enjoys time spent with her nieces and nephews. When she is not with her family she likes to bake and is a very talented cake decorator. She is dedicated to learning new things and is always looking for new adventures. Dr. Livesay has been practicing both large and small animal medicine since receiving her Doctorate of Veterinary Medicine from Oregon State University in 2013. She is also certified in veterinary acupuncture and uses it to treat a variety of conditions including pain management, neurologic dysfunction, inflammatory disorders and much more. We cannot tell you how excited we are to be able to offer this valuable specialty option to you. We have seen numerous cases where acupuncture has improved an animal’s overall quality of life and has extended a pet’s longevity. She is a Corvallis native and grew up raising and caring for animals in 4H and in livestock judging. 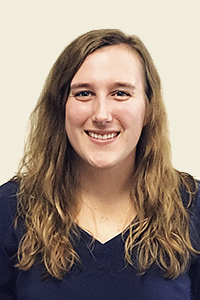 She has a passion for service and had traveled to many underserved areas to provide veterinary medical care, including Nicaragua, Morocco and Mexico. She loves all things outdoors and is ready to discover all the wonderful outdoor activities we have to do around here. Dr. Oeffner grew up in Gaston, OR where he helped with his family’s dairy farm. His love for animals was born as he cared for and helped milk upwards of 130 cows twice each day. He graduated from Oregon State University with a Master’s in Animal Nutrition in 2011. He then went on to graduate from Oregon State University’s College of Veterinary Medicine in June of 2017 and is now living in Salem. His areas of interest are primarily large animals including ambulatory services, but he also enjoys helping a wide variety of small animals maintain long healthy lives. Dr. Oeffner and his wife Anna live on their family’s farm where they are currently working on building up their property and preparing it for the many animals they plan to have. They have four young children who are learning the art of husbandry as they presently have two horses, two ponies, six pigs, 30 chickens, and a Miniature American Shepherd named Sheila. They plan on adding a small herd of beef cows. Scott enjoys hiking, dirt bike riding, and making hay for his animals. 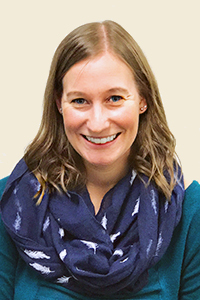 Dr. Lulay received her Bachelors degree from Seattle Pacific University in 2004 and then traveled to England and Poland to complete her Masters degrees in 2005. She received her Doctorate of Veterinary Medicine from Oregon State University in 2017. 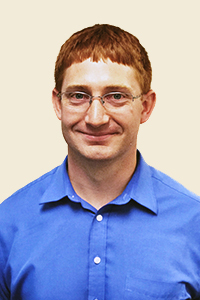 Dr. Lulay’s areas of interest include preventative medicine and theriogenology. Dr. Lulay grew up in England but moved to Oregon in high school. She currently lives in Sublimity with her husband, Dustin, son and two cats–Rory and Kasia. She enjoys traveling around the world and has provided veterinary care in Nicaragua multiple times. She also likes spending time with her family and friends, exploring the Pacific Northwest and watching football.